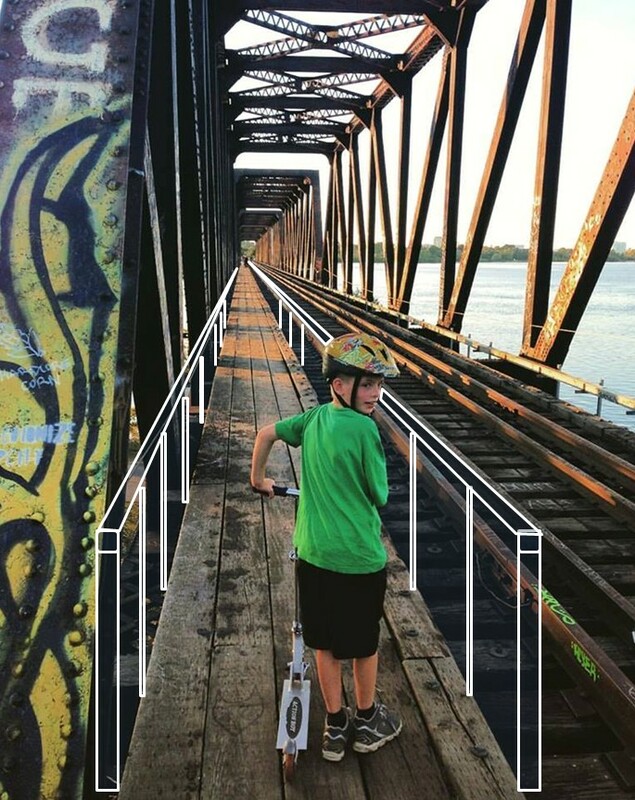 When my 9-year old son heard about the City of Ottawa’s plan to block off the historic Prince of Wales truss bridge, physician the controversy around it, more about and Jim Watson’s aversion to lawsuits on the grounds that: “It’s not safe to be on an unused, rickety old train bridge.”, my kid begged me to go out again last night to walk across the bridge while we still can. So, like any irresponsible parent, we did a bit of civil-disobedience-trespassing-for-the-public-good. Now, you can disparage my parenting all you like, and neither my boy nor I are engineering experts, but here are a few things my boy said as we crossed that I think should be added to the public record. Just a small selection of the Instagram shots tagged recently at the Bridge. He’s right. It is. It is almost impossible to quantify its awesomeness. The bridge has Ottawa’s most spectacular, Instagram-worthy views, and it connects the two cities in a way that made sense in 1881 and *should* be self-evident today. If you’ve never done it, GO and check it out while you still can! Yup. It sure is. There really should already be BOTH a train to Gatineau AND a cantilevered platform for bikers, walkers, and even cross-country skiers in winter. But you see, there’s no money (as the Mayor just told me on Twitter)… unless you want $58 Million to widen Greenbank Road I guess… but lest we get bogged down, let’s ponder my son’s next bit of wisdom. He’s right again. At least on the Ottawa side, a sturdy old 1.5m-wide access walkway goes all the way across. Check the picture below if you’ve never seen it. Hmm… He may have something there. Right now, as you cross, all you have between you and the water is an old rusty wire of dubious support value. A solid set of railings with maybe some new decking and lighting along the existing walkway could SURELY be set up for a lot less than the widely quoted $10+ Million price tag for a full pedestrian/ cycling bridge. So Jim Watson: how about this idea from a nine-year-old kid? Artist’s (sloppy) rendering of a simpler, more cost-effective solution for the Prince of Wales train bridge – from that idea by my 9-year-old son.